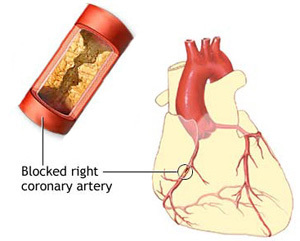 Coronary Artery Disease : Coronary artery disease (CAD) occurs when the arteries that supply blood to the heart muscle (the coronary arteries) become hardened and narrowed. The arteries harden and narrow due to buildup of plaque on their inner walls. The buildup of plaque is known as atherosclerosis. As the plaque increases in size, the insides of the coronary arteries get narrower and less blood can flow through them. Eventually, blood flow to the heart muscle is reduced, and, because blood carries much-needed oxygen, the heart muscle is not able to receive the amount of oxygen it needs. Reduced or cutoff blood flow and oxygen supply to the heart muscle can result Angina and Heart attack. Angina is chest pain or discomfort that occurs when the heart does not get enough blood. A heart attack happens when a blood clot develops at the site of plaque in a coronary artery and suddenly cuts off most or all blood supply to that part of the heart muscle. Cells in the heart muscle begin to die if they do not receive enough oxygen-rich blood. This can cause permanent damage to the heart muscle. Knee and Hip Joint - Avoids joint replacement; VASKO helps re-grow the Knee and Hip joints cartilages to its normal size within 6 to 9 months. Varicose veins, Phlebosclerosis, phlebothrombosis, and thrombophlebitis 6 - 9 months continuous use of VASKO, VEINISH, POMEGRANATE EXTRACT and GRAPE SEED EXTRACT helps to revise it. To reduce cholesterol & triglycerides (blood fats) to normal levels. It increases good cholesterol (HDL) and reduces bad cholesterol. This protects blood vessels. Fatty liver is the accumulation of fat in the cells of the liver. It is often caused by an excessive alcohol intake, but, increasingly, it is being found in people who do not drink to excess but who are obese or have diabetes. Fatty liver is called steatosis, and fatty liver with liver inflammation is called or steatohepatitis. Steatosis and steatohepatitis can be caused by alcohol and other drugs and can also sometimes occur in patients with diabetes mellitus. BHP is a non-cancerous enlargement of the prostate that restricts the flow of urine from the bladder. As the prostate enlarges, it squeezes the urethra, interfering with the passage of urine from the bladder resulting in frustrating and humiliating symptoms. The uterus is one of the first organs to manifest symptoms when a woman's hormones are out of balance. Two of the most common uterine symptoms of premenopause syndrome are an enlarged uterus, and uterine fibroids. Women with PMS often experience painful periods (dysmenorrhea) which are most often caused when the endometrial lining of the uterus extends into the muscular wall of the uterus (adenomyosis). When shedding of the endometrium occurs (menstruation), the blood is released into the muscular lining, causing severe pain. Being obese and being overweight are not exactly the same thing. An obese person has a large amount of extra body fat, not just a few extra pounds. People who are obese are very overweight and at risk for serious health problems. Preventive Measure - As an effective preventive measure against strokes, heart attacks, joint damages, high blood fat & gangrene of lower limbs. VASKO is an Ayurvedic preparation that has been used for more than 250 years. VASKO has been used for generations and by thousands of people. This is a formula derived and time tested by the Chavarcode Ayurvedic physicians. VASKO is a natural Herbal food supplement that helps the vascular system cleansing and reversing Arthritis. It helps unclogs arteries, veins and helps to reverse Varicose Veins, Angina, Gangrene and Retinopathy. VASKO also helps arresting degenerative changes of the joints and regenerate the worn out joint components including cartilages. VASKO is all natural herbs free from synthetic chemicals or preservatives. Also VASKO is free from animal products. VASKO is a holistic system that works on so many disease-process levels of multiple systems and it helps solve many problems at once. Arthritis isn't just one disease; it's a complex disorder that comprises more than 100 distinct conditions and can affect people at any stage of life. Two of the most common forms are Osteoarthritis and Rheumatoid Arthritis. These 2 forms have very different causes, risk factors, and effects on the body, yet they often share a common symptom persistent joint pain. The joint pain of arthritis can appear as hip pain, knee pain, hand pain, or wrist pain, as well as joint pain in other areas of the body. If you have joint pain, stiffness and /or swelling for more than 2 weeks, you may have arthritis. 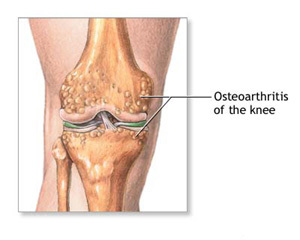 Osteoarthritis (OA) is the most common form of arthritis. OA begins with the breakdown of joint cartilage, resulting in pain and stiffness. OA commonly affects the joints of the fingers, knees, hips, and spine. Other joints affected less frequently include the wrists, elbows, shoulders, and ankles. When OA is found in a less-frequently affected joint, there is usually a history of injury or unusual stress to that joint. Rheumatoid arthritis (RA) can affect many different joints and, in some people, other parts of the body as well, including the blood, the lungs, and the heart. 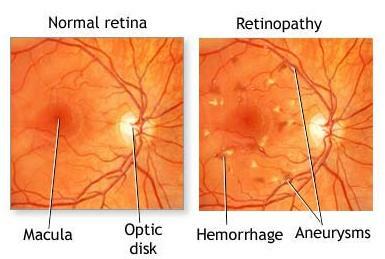 RA is an autoimmune disease. This means the body's natural immune system does not operate as it should; it attacks healthy joint tissue, initiating a process of inflammation and joint damage. Cartilage is a type of dense connective tissue. Cartilage is composed of cells called chondrocytes which are dispersed in a firm gel-like ground substance, called the matrix. Cartilage is avascular (contains no blood vessels) and nutrients are diffused through the matrix. Cartilage is found in the joints, the rib cage, ear, nose, in the throat and intervertebral disks. There are three main types of cartilage: hyaline, elastic and fibrocartilage. Articular cartilage is a tough, elastic tissue that covers the ends of bones in joints and enables the bones to move smoothly over one another. However, when articular cartilage is damaged through injury or a lifetime of use, it does not heal as rapidly or effectively as other tissues in the body. Instead, the damage tends to spread, allowing the bones to rub directly against each other and resulting in pain and reduced mobility. VASKO helps to regenerate the cartilage naturally by increasing its perfusion at its periphery. The abundant natural micro nutrients from its individual herbs (anti oxidants) arrest the degeneration and induce regeneration. The hormonal harmony it brings also contributes for the regeneration. The cartilage cells restart multiplication and growth. 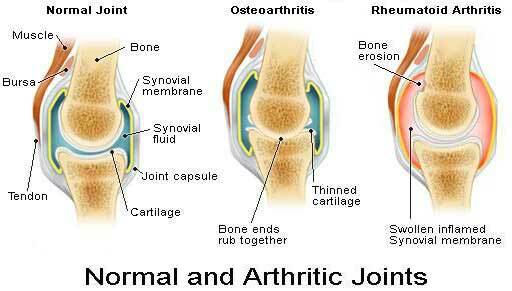 This regains the joint space normal and hence osteoarthritis is reversed. There are many new techniques that patient's own cells and tissues to restore cartilage to weight bearing sections of bone like Osteochondral grafting, Autologous chondrocyte implantation, or ACI and Mesenchymal stem cell (MSC) regeneration. But it is very expensive and as per studies it is not proven very effective for a long period of time. VASKO will help regenerate your own cartilage in a very short period of time. You will feel the changes with in 30 days to 3 months time. The vascular system is made up of the vessels that carry our blood. Arteries carry oxygen-rich blood away from the heart. Veins carry carbon dioxide rich blood back to your heart. When the blood starts its vascular system trip at the right side of the heart, it is the pulmonary artery that carries the carbon dioxide rich blood to the lungs where it exchanges carbon dioxide for oxygen. Then the pulmonary veins carry oxygen-rich blood back to the left side of the heart and are pumped out to the whole body. As we age, our arteries tend to thicken, get stiffer and narrow. That is called arteriosclerosis. A form of arteriosclerosis is atherosclerosis. 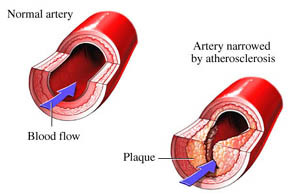 Atherosclerosis is the build up of plaque and cholesterol in large and medium sized arteries. 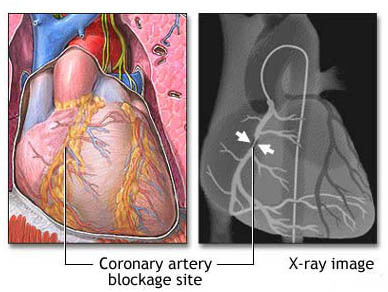 A narrowing of the arteries from a build up of plaque can lead to coronary heart disease and can cause a heart attack. 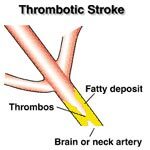 The same situation in the arteries leading to the brain can cause strokes. Narrowing of the arteries in other places, such as the legs, can cause what is called Peripheral Arterial disease (PAD). When the smaller arteries are affected it is called arteriolosclerosis. The kidneys, spleen and the pancreas can be damaged. High blood pressure is often a cause of arteriolosclerosis. The veins can develop problems too. 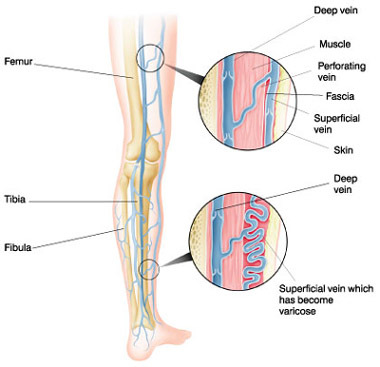 Clots in the veins can result in deep vein thrombosis (DVT), phlebitis, and other problems. If those clots break free, they become emboli. When this situation happens to the lungs, it's called a pulmonary embolism. In addition, as part of the system of moving the blood back to the heart, the veins have small one way valves. If those valves weaken, the blood can back up, pool and cause the veins to swell. The result is varicose veins. Gangrene is necrosis and subsequent death of body tissues caused by lack of blood flow. 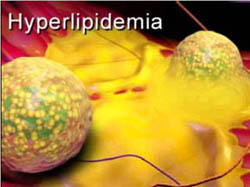 The common causes are tobacco, uncontrolled diabetic mellitus and hyperlipidemia. VASKO helps to reverses atherosclerosis optimum to re-establish blood perfusion in peripheral occlusive vascular disease. Collateral vessels are dilated and neo vascularisation also occurs to improve tissue perfusion. This can reverse the tissue changes (ischemia) and hence necrosis, infections if any and finally gangrene also. As a man matures, the prostate goes through two main periods of growth. The first occurs early in puberty, when the prostate doubles in size. At around age 25, the gland begins to grow again. This second growth phase often results, years later, in BPH. As the prostate enlarges, the layer of tissue surrounding it stops it from expanding, causing the gland to press against the urethra like a clamp on a garden hose. The bladder wall becomes thicker and irritable. The bladder begins to contract even when it contains small amounts of urine, causing more frequent urination. Eventually, the bladder weakens and loses the ability to empty itself. Urine remains in the bladder. The narrowing of the urethra and partial emptying of the bladder cause many of the problems associated with BPH. VASKO helps the prostate to regain its origin size through two mechanisms. The hormonal axis get regenerated and as the male hormone (testosterone) brings back to adequate level the dependant prostate regains its normal size and shape. Secondly any fibrous tissue associated with its enlargement goes to fibrolysis with the effect of VASKO. The uterus is designed to expand to accommodate a growing baby. 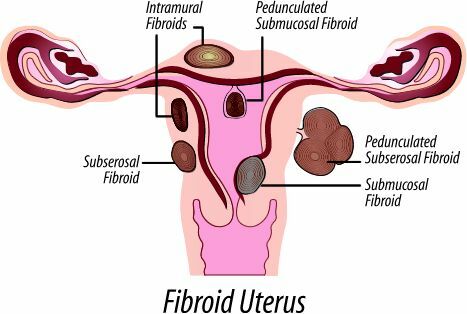 When fibroids develop, the uterus enlarges in response to fibroid growth. Some women notice a distended abdomen similar to pre-menstrual bloat; others experience expansion as big as a full term pregnancy. VASKO with NURAX helps reverse uterine fibroid and bulky uterus in its early stage. Please give minimum 30 min to take any food after taking VASKO. Take optimum water to enhance elimination of released toxins from your body. VASKO - This is a herbal Food supplement for Vascular Cleaning and help reversing Chronic Arthritis. This formula is best for people after 18 yrs of age. It is simply the best NATURAL formula that probes and clears vascular deposits of oxidized fat-atherosclerosis. Also burns off Visceral fat. Reverses fatty liver, reduces the high cholesterol level in blood and keeps the blood fat and blood pressure at low levels. Diseases such as coronary artery disease, peripheral occlusive artery disease, varicose vein, and phlebo-thrombosis can be reversed. It selectively enhances a fat burning process and keeps the body trim and light. 1) Emblica Officinalis, Terminalia Chebula and Terminalia Belerica - This is a set of three medicinal dry fruits. Emblica officinalis often referred to as Indian gooseberry, is one of the richest known sources of vitamin C (720 mg/100g of fresh pulp or up to 900 mg/100g of pressed juice. )– it contains 30 times the amount found in oranges.This set of 3 dried herbs has almost all required antioxidants and micronutrients to dissolve fat deposits inside vascular and non vascular channels in the body. It protects the liver, stimulates its microsomal enzymes and fat burning. This also augments cellular metabolic activities inside cells and so keeps the body thin and skin soft. 2) Tinospora Cordifolia - This protects stomach layers and liver cells, stimulates bone marrow activity to produce fresh and healthy cell series. It enhances humoral and cell-mediated immunity. Fat lowering alkaloids detected in this herb. The long term use of this results in better functioning of the liver and hence longevity. 3) Commiphora Mukul - This is the dry latex of the tree, known for its anti-obesity, blood and body fat lowering effect- a 5000 year old wisdom. The lipids in it selectively burns fat. It raises basal metabolic rate and diverts excess cholesterol for bile salt formation in the liver. Again clear off fat deposits at medium and small vessels also. It is anti-inflammatory and rejuvenative to multiple organs, especially joint cartilage and associated components. As the fat burns off, the body weight and size comes down drastically. 5) Curcuma Longa - A powerful anti-oxidant and antiseptic, Curcuma Longa is a yellow pigmented dried rhizome. Its anti-microbial and anti-inflammatory effects are well known for over 5000 years. It can prevent vascular blood clots. On skin it can dissolve sebum and regulate pigmentation (skin color complexion). It enhances immunity and helps keep body trim. This contains "curcumin" that is a powerful antioxidant for the brain. It prevents neuronal degeneration and hence the brain is protected from "Dementia", "Parkinsonism" and "Alzheimer's Disease". 6) Boerhavia Diffusa - The extract of its dried roots soothes the stomach. Famous for acid-dyspepsia. Protects liver and stomach. It can also burn body fat at liver by stimulating liver enzymes. It can bring down high blood pressure by relaxing the smooth muscles of arterioles and capillaries. Minerals and various phytonutrients are abundant in it, which can keep cardio-vascular system clean and healthy. Regeneration of vascular endothelium, other mucus membranes and skin is possible on long-term use. That is anti-aging or even moderate reversal of aging! 7) Cyperus Rotundus - Its an old wisdom, that can keep any type of microbes away. It augments immune system effectively to combat even viral infections. It reduces body and blood fat on long term use. Regulates bowel movements and intestinal microbial flora. Systemic blood pressure and heart rate are reduced to optimum as it soothes and calms the mind. 8) Azadirachta Indica - Nimbidine is the active principle that is bitter in taste. It is famous for keeping the body trim and light. Burns off fat from blood and body; hence reduces blood thickness (viscosity). Triglycerides and cholesterol level lowered WBC count increased with enhanced phagocytosis. Ig G & Ig M immunoglobulins are increased. So opportunistic infection of even the skin is prevented. 9) Picrorhiza Kurroa - Bitter taste. Known for its tonic effect on liver and pancreas. This burns off blood fats effectively. Detoxification of liver is maximum (The glutathione level is maximum). The phytochemicals help to alleviate oedema and so useful in heart failure. As the metabolic rate is high, that keeps the body trim. 10) Zingiber officinale, Pepper longum, Pepper nigrum - Increases digestibility and enhances bioavailability of the other herbs at cellular even sub-cellular level. Also acts as a natural and eco-friendly preservative to the formulation. My name is William Lynch. Approximately seven months ago, I fell at work and injured my right knee. After having an MRI and speaking with a doctor about the results, surgery was suggested. Being that I had never undergone any type of surgery in my life, that was definitely NOT something that I wanted to hear. If I was to have surgery, I would be on bed rest for an undetermined amount of time. I was very discouraged. I've been trying to get a civil service job but it requires me to pass a very difficult physical exam. The exam includes a great deal of cardio including a running. With my knee being in such bad shape there was just no way I could pass it. My future in Civil Service wasn't looking promising. Around early September, a gentleman whose office is next to my job, saw me limping around and wearing the required leg brace I was given. We got to talking and VASKO , your natural supplement was brought up. He told me it would really help my knee and evenhelp me avoid surgery. Of course I was extremely skeptical. He gave me information regarding VASKO including some testimonials from others who had taken the supplement and been helped by it.I figured I would just try it and had really nothing to lose because it was herbal. Since taking VASKO on a regular basis, not only did I feel that I no longer needed surgery but I haven't even needed to call my doctor. These days I find myself being able to weight train and even run stairs, something I NEVER thought I would be able to do again without surgery. Even if I had the surgery, the recovery period would have been long and I would have needed physical therapy to even attempt to be as active as I am now because of your product. VASKO has helped me in more ways than just my knee. My energy level has also been elevated. I am actually able to to do all the things I need in order to pass my physical exam with great ease. Also I have to note that I saw that my Varicose veins were disappearing. It was so surprising and such a great treat because my Varicose veins were not even the reason I chose to take this product in the first place. I just cannot believe how powerful this product is on so many levels. The best thing about VASKO is that it does so much for my overall health and yet t's completely natural. I know this first hand because on top of my physical exam that was required for my Civil Service, I recently had a full medical workup including blood tests. My results came back completely normal and my cholesterol level was perfect. So I can safely say, as a former skeptic from New York, VASKO really DOES work. I continue to use VASKO and have since recommended it to both friends and family. I will forever be thankful. I have been using VASKO for a while and it has worked very successfully. Now I always have it around because I have seen with my own eyes what it can do. Three months after a very bad angina episode, I began taking VASKO and was on it for about two months. I was feeling a lot better so I went and had a Digital Pulsewave Analysis of my cardiovascular system done and I got an "A" on scale of A to G (A being the best). The cardiologist told me that the results were showing that my cardiovascular condition was that of a 43 year old man and I am 57 years old! After seeing this, I am hooked. It is amazing to me what a difference this small pill makes. VASKO has reduced my total cholesterol and has erased the varicose veins in my legs to mere traces of what it used to be. My circulation is better, which has resulted in me feeling so much better physically and has also given me much greater mental clarity. This is anecdotal evidence, but we think VASKO is a miracle and we are writing to you to suggest that you introduce into clinical trials so that you have solid scientific evidence that will support what we users all know to be true from our won experience with it. So many people out there could be saved by your product and they need the help. How can we get the word out? Thanks for creating this life changing medicine. Because it is all natural, it has had no side effects on me and has promotedmy overall health on so many levels. This is a must have for me. VASKO may be the finest herbal remedy in existence. After taking the recommended dosage for 16 days, my energy level has increased and the neuropathy in my feet, that I have suffered with for as long as I can remember, was eased greatly. Still, the most remarkable thing that I have experienced on VASKO is that it has eased the symptoms of my Diabetes in spite of my habitual weakness for eating sweets. That says a lot to me about the power of VASKO. I want to also add that your website explains very clearly in detail, all aspects of the highly effective herbs in VASKO. I want to thank you for that. It helped me make the correct informed decision about what product was right for me and that's exactly what I found. I wanted to personally thank you for introducing your product VASKO to me and to the rest of the world! It has worked miracles in my life. I have suffered with painful varicose veins in my legs for the last four years. It has just gotten worse and worse no matter what I do. In my search for relief, I have tried numerous herbal and vitamin recommendations. Each one promised either complete healing or substantial relief from the heaviness and pain in my legs. Unfortunately, none of them helped my condition at all. I saw no difference whatsoever. Recently, I found out about VASKO while searching the internet. The web site explained in detail how the product worked. I was skeptical due to past promises and disappointments from other advertisements. Nevertheless, my level of pain motivated me to continue my search for an answer. I ordered the product and again hoped that this time would be different. Indeed, this time was different! I began to feel significantly better after taking the product for about two weeks along with greatly increasing my water intake. It seems to support and strengthen the entire cardiovascular system. My Varicose veins are virtually gone and I am no longer in pain. How do you spell pain relief? V-A-S-K-O! I have been taking VASKO for 6 months and I am so happy with it. I have had no side effects at alland I have lost almost 15 pounds without changing my diet and exercise regimen at all. My blood pressure has lowered significantly and I feel great This is a wonderful formula that I would confidently recommend to people of all ages because it is all natural. I just ordered more and I am excited to continue it until I reach my goal weight. I will also be continuing it to maintain my blood pressure so that I no longer have to ingest any prescription medications that are harmful to my Liver and come with countless side effects. I have been taking VASKO for a little over a year and it has lowered my blood pressure and cholesterol, which were high, significantly. I have also watched my varicose veins in both of my legs disappears. Ten months ago my doctor gave me samples of a prescription medication that she wanted me to take to lower my cholesterol. After taking them for a month, I didn't like the side effects at all, so I stopped taking them but still continued with the VASKO.I have had such good results from this product that I cannot even describe to you how much better I feel, and with NO side effects. I am not a person that spends money on things that I don't see really significant results from. I wouldn't still be taking VASKO if I didn't feel it was doing great things for me. I just love this product. My wife did a Google search on the internet for a NATURAL product that would help the varicose veins in her legs. In the results she found VASKO . After reading the info on the VASKO site, she told me about it and said she had decided to place an order. I suggested she get the 4 month supply so we could share it for 2 months because I also had some varicose veins in my ankles. I thought this would give us enough time to see if it really does have an effect on varicose veins. 9 months earlier, my MD suggested that I go on a drug called Lipitor because of high cholesterol results from my blood work. I refused that course of treatment because of the reported side effects which were associated with the drug. My MD was insistent that I use the drug but I was more insistent that I would not. He made me sign a treatment refusal form and I left his office. I did nothing to help or change my cholesterol except trying to eat better for a few weeks. Unfortunately I fell back into my old habits of poor diet. I work in the service business and much of my work is in the fast food industry. I end up eating junk food at the various national fast food chains several times a week. "Super size me!" (If you saw the movie).I am a 53 year old man with high blood pressure and am roughly 75 pounds overweight. AXxzBeing overweight, I am sure, has contributed to both my high blood pressure and cholesterol problem. Back to the varicose veins: We took VASKO just as directed for 2 months and surprisingly we did see the varicose veins fading! I really couldn't believe it but it was true, the veins were really less visible and going away slowly but surely! This was truly amazing to me. I know that you offer a money back guarantee but to find a product that really does what it promises to do...well, that's just refreshing! OK, now back to the doctor's office: I had to go back to the doctor for a refill authorization on my blood pressure medicine. This was required every 3 months just to see if things had changed etc. On the previous visit they wanted to do blood work again just to check how the cholesterol was and all other levels since I am overweight but I put it off at that visit. This time, I hadn't had breakfast or anything to eat since dinner the night before so they took blood for analysis and said to call on Friday to hear the results. I almost didn't call back on Friday simply because I didn't want to hear the Lipitor recommendation and all the grief about my diet and being overweight that went with it but I really did want to know the results of my blood work so I did call back. To my surprise the doctor said "WOW this is pretty good!" I asked, what he meant and he said "I am looking at your results and everything is at the normal level and some are better than normal. Your cholesterol is absolutely normal in all areas.Your HDL, LDL and liver enzymes are normal, sugar's perfect, everything is just fine! You must really be eating healthy!" I replied "I haven't been following any special diet but if I told you why I think these tests came back the way they did, you just wouldn't believe it!" What a surprise to me! I expected a report just like the previous report or worse and instead got a glowing report. Now I want to point out here that my previous report was well below "normal" in the bad areas and now the report shows well within the "normal" levels in all areas. There were no miraculous reports of super elevated good cholesterol or super low bad cholesterol. Everything had been "NORMALIZED" by VASKO . I did not do any kind of other treatments, exercise, remedies or special diet to aid in these results except that I was taking VASKO as directed on the label. This was such a shock to me because I was taking VASKO for varicose veins! This was a bonus! VASKO really does what is claimed...no hype! VASKO has really helped reduce both my wife's and my varicose veins and has lowered my cholesterol to normal levels. It has done this with no side effects. Thanks many times over, this are a truly amazing product! I am just finishing up with my 3 month supply of VASKO and just after the second month it became apparent to me that the varicose veins in my legs were diminishing greatly. I can wear shorts again after all of these years! I even have a lot more energy. I have even been able to reduce the amount of MSM that I was taking for joint pain because VASKO has also lessened those aches. I look forward to finishing out this year and hopefully be rid of the achy joints and having legs that don't look like road-maps. Your advice is correct, it takes about 3 months before one can see dramatic results. This is great stuff and I highly recommend it. I am a 62 year old manager from Honolulu, HI. I have had trouble with my right knee on and off for 20 years. Without warning, it would get extremely sore and swollen. At first it would last a few days, then a few weeks, then even several months, as time went by. Then just as quickly and suddenly, the pain would disappear for a year or two. My doctors would check out the knee area and ask if this hurt or that hurt. Then they would X-ray it and say it was arthritis. This last time I was fully checked, the doctors said that the problem was severe arthritis with cartilage damage. He said that I would need an MRI and then surgery to remove as much damaged cartilage as possible although they could not show me any damaged cartilage on the complete series of X-rays. They said there was nothing wrong with the tendons or the ligaments. The knee hurt badly no matter what I was doing. I had to fly to the mainland at one point on business and while I was walking around on the plane we hit some bad weather. It felt like the knee was being pulled apart at the joint. Since using VASKO my knee has been getting stronger and stronger. Walking is easier and the pain seems localized to just the inside edge. It hurts when I sit down for a while but feels better if I go for a short 5 minute walk. I believe that my knee is on it's way to being fully healedalthough it may take some time before it is complete. I am so glad that I found your product when I did. It has also done more than just help my knee. The doctor noticed that my Cholesterol has gone from almost too high to low normal also. I had in the past had a slight problem in my EKG results, which they are no longer seeing any evidence of. Overall, the doctor says I am strong and in good shape and I don't look my age. I eat mostly vegetables, potatoes, some oatmeal, beef, fish and a little chicken. I avoid restaurants and fast food establishments because I get stomach problems and indigestion there but not at home. I take your product every day and I just want to say thank you. I have been using VASKO for almost 3 months. My blood pressure is down and my cholesterol has dropped 30 points.VASKO is truly an answer to my prayers. Thank you Jesus, and thank you VASKO. I am a 45 year old male who has been suffering from Hypertension since 1993. I am taking 3 medications for my High blood pressure. All together they cost me $110.00 per month. However since I have been taking VASKO for about one month, my blood pressure is much better. I have lost 7 lbs and I feel a definite increase in my energy level. 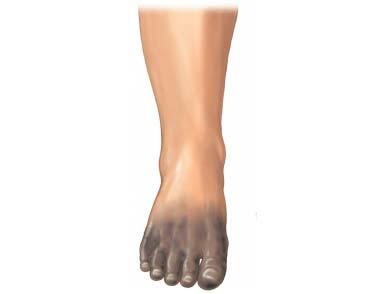 I used to have some fluid retention around my ankles and other areas but all those symptoms seem to have dissipated and in some cases, have completely gone. With the success I am having on your product, I am pretty confident that within 6 - 12 months, I will be off all my prescription medications completely. I have told some of my friends about this product and they have tried it with similar results. For sure, the best thing of all about VASKO is that it is 100% all natural from good old mother earth. Roy this product is truly a Godsend. Thanks for all of your help and encouragement. I am a 46 year old male from California. I have been using VASKO for the last 4 months. I have a history of hypothyroidism (Hashimotos disease), irregular heart rhythms, atrial fibrillation etc. The first few nights on VASKO I noticed that I had a strange sensation in my mid sternum almost like the mercury in a thermometer rising. The sensation lasted for only a minute or two and disappeared after a few nights. I also experienced feeling very tired for the first couple of weeks on VASKO but after that my energy level grew to a point where I have not felt in years. After about 1 months of being on it, I noticed that my heart did not have any more irregular beats and my system seemed to normalize. 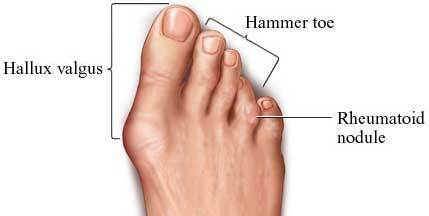 In addition, my feet and toes that in the past had numbness in them at night. I used to feel them twitch and have little electrical shocks shooting inside them. When I started VASKO the twitching and electrical jabs increased for about a week or two but then all at once, the symptoms totally disappeared. Since then I have not had that sensation again at all. My medicine for hypothyroidism needed to be cut down, in fact I have had to cut it down so drastically that I take a fraction of what I used to take. This seems to fly in the face of western medicine but I cannot dispute the results of what I am experiencing. 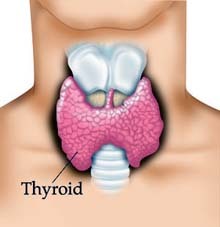 I would suggest that anyone that has either hyperthyroid or hypothyroid to always monitor yourself carefully. This is a very powerful formula and it works great for me. I would recommend highly it to anyone. I have given my permission for my testimonial to be used on this site because I really believe in this product. At first I didn't believe that VASKO would actually work. Well, after 6 weeks my varicose veins have almost entirely disappeared. I have lost 10 pounds and my high blood pressure has improved. My cholesterol has dropped from 260 to 200! I have no side effects with VASKO and I also sleep like a rock! I am 43 year old male and I have Hypertension, Cholesterol, Diabetes Type 2, and have been on strong medication for the last 3 years. After taking VASKO for only 20 days, I felt an extraordinary energy spike. The pain in my legs and knees just vanished. I am simply astounded by the relief that I experienced from this product. Now my doctor has stopped one of my medications for Diabetes totally. If this is the kind of improvement that I am going to have, I am certain that at some point , all of my prescription medicines will totally be stopped. Thanks, Roy! I was skeptical initially, but now just very glad that I took a calculated risk and listened to your advice. I am Jessica Hollenbergand I am 56yrs old. I am 230 lbs. As I was very overweight, I was suffering from knee pain and it was uncomfortable just to move my body. I also had a lot of swelling. My doctor recommended that I lose weight. I tried fasting and reduced my food quantity, also all fatty foods. In spite of all of this, my weight remained the same. Later I tried a few weight reducing medications, but even then my weight was not dropping. They only made me feel jittery and hyper with no positives. A few months later I found an Ayurvedic food supplement called VASKO . I figured I would try it. After all I had tried everything else, so why not this. I ordered a 3 month supply and started VASKO . I took two VASKO , two times a day. I did not notice any weight loss in the first month but my body swelling was reducing a lot, so I continued VASKO for the next month. The second month I lost about 20 lbs and the third month I lost another 20 lbs. It was AMAZING! At the same time as the weight was dropping off of me, the pain and the swelling in my knee joints were disappearing. This was an absolute miracle for me. After six months of taking VASKO , I lost a total of 80 lbs. I feel better than I have in the longest time. I feel like a kid again. Now I am eating everything I like to eat but I don't gain weight because I still continue a small dose of VASKO to maintain my weight. I have kept the weight off and I just feel very healthy. I am really thankful to VASKO for helping me to feel better about myself physically and mentally. I always tell my colleagues and friends about VASKO because I know how well it works from my own experience. My name is Karthikeyan. I am 80 yrs old. I have lived in in Singapore since 1947. I have been diabetic for more than 30 years. I've been taking prescription pills for it for many, many years and very recently on insulin control injections. Three years back at my yearly a check up, my family doctor noticed a change in my electrocardiogram (ECG / EKG) and sent me to a cardiology center. By doing a Coronary Angiogram, it was found that I had Triple vessel disease of the heart. One vessel was 100% blocked. My left ventricle was only 55% functional. I couldn't believe it as I had no symptoms. The doctor explained it was due to diabetic neuropathy (no pains). They recommended for an urgent bypass surgery but I couldn't agree to it. They prescribed medicines and made me sign the disagreement in my case sheet. I am originally an Indian and came back to my country immediately. I knew there are alternatives in India. I could collect many alternative therapies in India and selected one Ayurvedic therapy which many people suggested as many are there cured of heart disease. It was called "VASKO herbal supplement". I couldn't believe it as I had no symptoms. The doctor explained it was due to diabetic neuropathy (no pain). They recommended an urgent bypass surgery but I wouldn't agree to it. They prescribed medicines and made me sign a document releasing them from any liability I case of my death due to refusal of the surgery. I am originally from India and came back to my country immediately. I knew there were alternatives treatments in India. I could receive many alternative therapies in India that I could not get anywhere else. I selected one Ayurvedic therapy which many people suggested to me and stated had cured them of heart disease. It was called "VASKO herbal supplement". I decided to start it right away, as the majority of my friends and relatives believed highly in VASKO . After one month I noticed some weight loss and my overall health improving. My bowel clearance improved and so did my sleep pattern etc. The high colored urine and stools that I saw when initially starting the product was the product ridding my body of impurities and toxic waste. The sensations in my limbs improved as did my poor writing and signature that were caused by it. I also felt more strength in my body and my walking become easier. After three months I went in for a Doppler study of my heart vessels (cartogram -a Swedish technology). The test showed wonderful positive changes in my heart. The circumflex branch of my left coronary artery that was 100% blocked showed 45% blood flow on this test. The left ventricle myocardium was showing on tests to be dead before but now showed new blood vessel formation with minimal perfusion. Overall my heart is having better blood perfusion than that to be expected from a person of 80 yrs. Old. It was unbelievable initially but the doctor showed me it with my own eyes in the findings on the computer screen. More than the test report, I could personally feel my physical improvements. Even now I am continuing to use VASKO because it saved me from bypass surgery which I may not have survived at my age. I recommended VASKO to many of my friends and relatives. I could say that right now I am experiencing total rejuvenation, thanks to VASKO! I am a clinical professor of Gynecology in the Medical College at India. Three years back I was really upset to hear that my right knee had to be replaced. The orthopedics department of the same medical college hospital referred me to a higher institution (Vellore Christian medical college) for a second opinion. After arthroscopy, it was reconfirmed that the need was for a total knee joint replacement as it was very bad with advanced osteoarthritis. I couldn't walk or bend my knee at all. It was swollen with fluids. I had severe pain with any movement. I remember the knee problem started after an injury I got from a fall. I was not able to perform my duties as a Professor and was bed ridden at home. The replacement of my knee was planned and going to be performed in the United Kingdom. The pain killers had burned away at the inside of my stomach, so I had to stop taking them. I was very lucky when I heard about VASKO at that time from a person whose wife had been healed fully from the same problem. This was my final trial before I went to the UK for a knee replacement. I started VASKO the very same day. I couldn't believe the fast and miraculous results over a period of only two weeks. I could flex my knee more than 50% and the fluid effusion started decreasing everyday. After one and a half months on it , I could attend my outpatient clinic in the hospital. Finally over a period of 3 months, 99% symptoms and signs disappeared. Today, even I get confused as to which one of my knees was affected with osteoarthritis. Thanks to this wonderful Ayurvedic supplement VASKO . Now I have recommended VASKO to all of the people I know who are suffering, including my own patients. Being a Medical Doctor myself, I never would have believed that a herbal formula could literally save me from knee replacement. 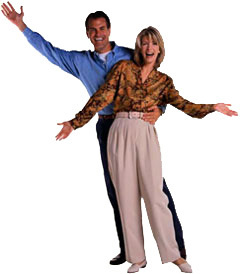 But today, I am a living example with my miraculous escape from knee replacement surgery because of VASKO . The healing crisis is a process in which the body undergoes an intense period of cleansing and rebuilding. It is called a "healing" crisis because the body is healing and becoming stronger. It is referred to as a "crisis" because the symptoms can be dramatic and rather unpleasant during the early time. Because the healing crisis is accompanied by unpleasant symptoms it is often mistaken as an increase in the sickness. Common symptoms include nausea, diarrhea, sinus congestion, muscle aches and pains, headache and fatigue. The crisis generally lusts only a few days. In reality, it is just the opposite. It is a process in which the body is overcoming ill health and becoming healthier and stronger. 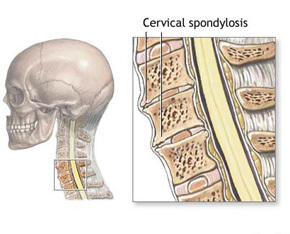 The existing symptoms like joint pain, spasm and swelling of the joints may aggravate mildly on starting VASKO . Such symptoms are considered to be a positive sign of improving the problems. Some cases a slight joint pain may occur even you didn't have an existing joint pain. These symptoms will gradually disappear within a few days. It is advisable to take complete rest for a few days if this happens. Similarly unexplained tiredness on the initial period is possible in selective cases. While taking VASKO, it releases lots of toxins from the cells into the system. This is also a part of healing crisis. Take optimum water to enhance elimination of these released toxins from your body and take rest for few days. Optimum physical rest is always necessary while you're on VASKO. This will enhance regeneration and development of the new tissues for regaining original architecture of the damaged parts / either joint / cardiovascular system. 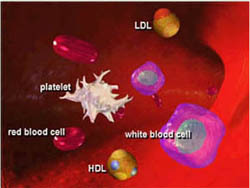 In some cases an elevation of cholesterol and triglycerides in the blood work is possible up to 2 months. 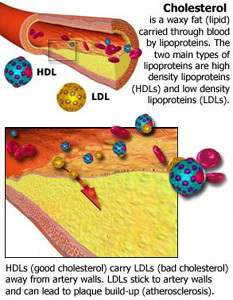 This is due to the release of cholesterol from the vascular deposits and the body fats mobilized for fuel burning. It is recommended to do the blood work after three months of VASKO. The real result will be noticed after 4 to 6 weeks of using VASKO .